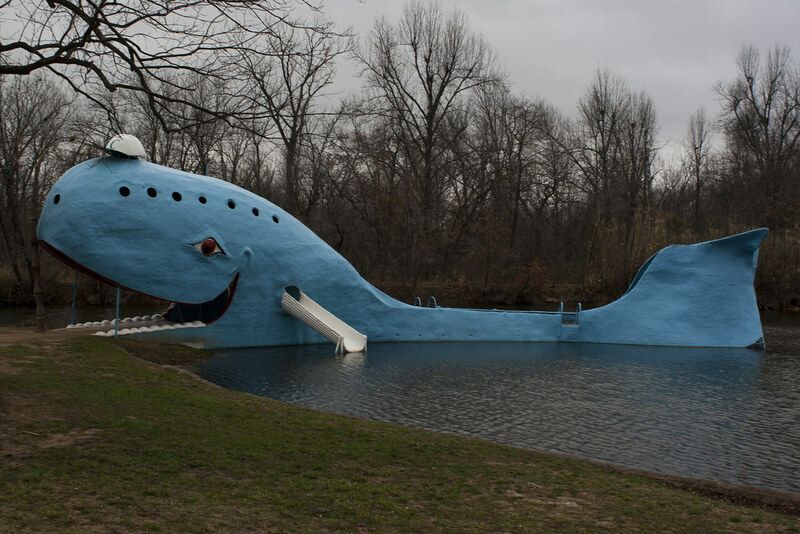 The eighty foot Blue Whale in Catoosa, Oklahoma is easily one of the most recognizable attractions on old Route 66. You can't miss it from the road. We arrived late, after it was closed to the public, so if we were going to spend the night inside of it, we had to be stealthy. 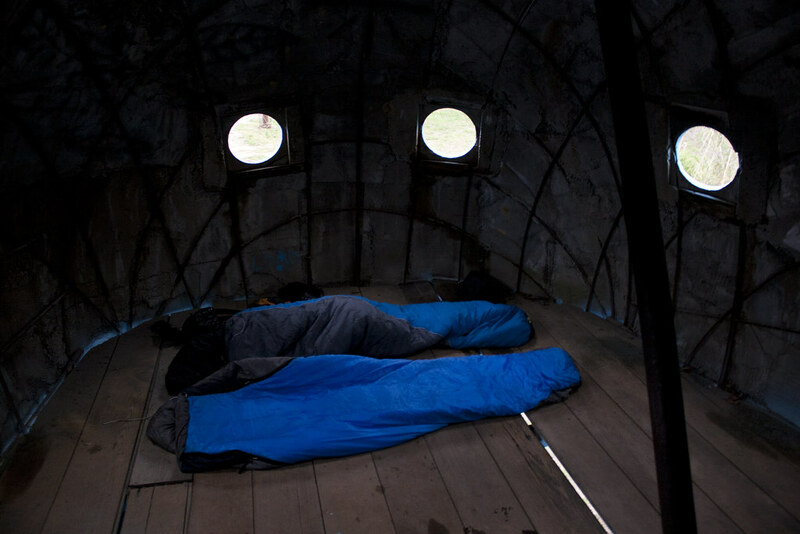 And of course, we had to spend the night in it. The Blue Whale was built in the early seventies to draw visitors to the swimming hole. It closed in 1988. The highway is only a few dozen yards from the whale and the property owner was in an RV close by with his light still on. We went to a couple bars in town and had a few drinks and played lots of pool. At 2 AM, we went back. We parked at a 24-hour grocery store a few blocks away then grabbed our sleeping bags. The light was still on in the RV, so we had to sneak quietly passed the Closed signs, and into the mouth of the whale.